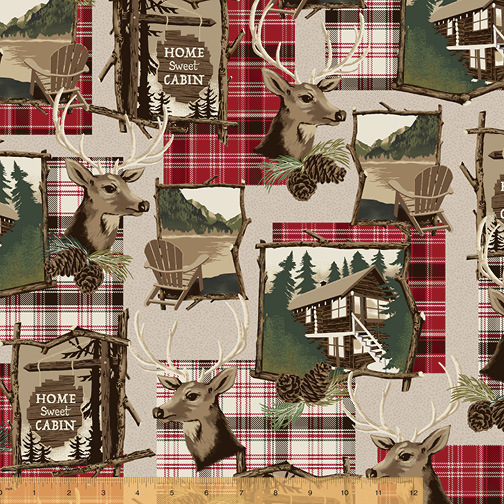 Step into the great outdoors with Home Sweet Cabin by Whistler Studios This rustic inspired collection is filled with patterns of paw prints, cabin scenes, bears and acorns. Mix it up with the classic plaids to make a great wall hanging project or a cozy throw for a cabin in the woods. On Sale: October 2018. Ships: February 2019. 13 skus.